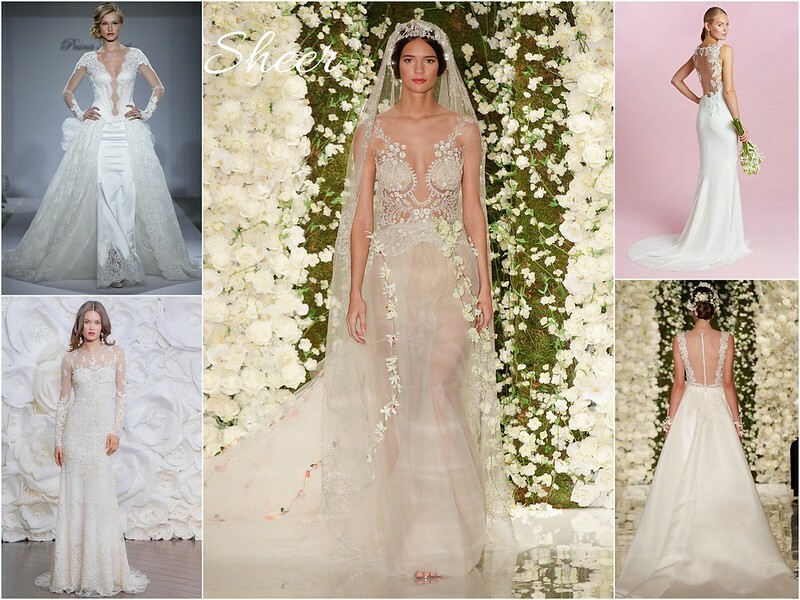 NYC Bridal Week showed lots of new gorgeousness and fabulous bridal gown trends for the 2015 wedding season. All we have to say, ladies, is that you’re in for a treat! So many fabulous looks we know our brides will adore and that will be incredibly fun to pair with our stunning accessories. Whether in the form of beading, lace, fabric or all three, it looks like 2015 is going to be the year of texture, but beyond that there were five trends that really got our hearts pounding. 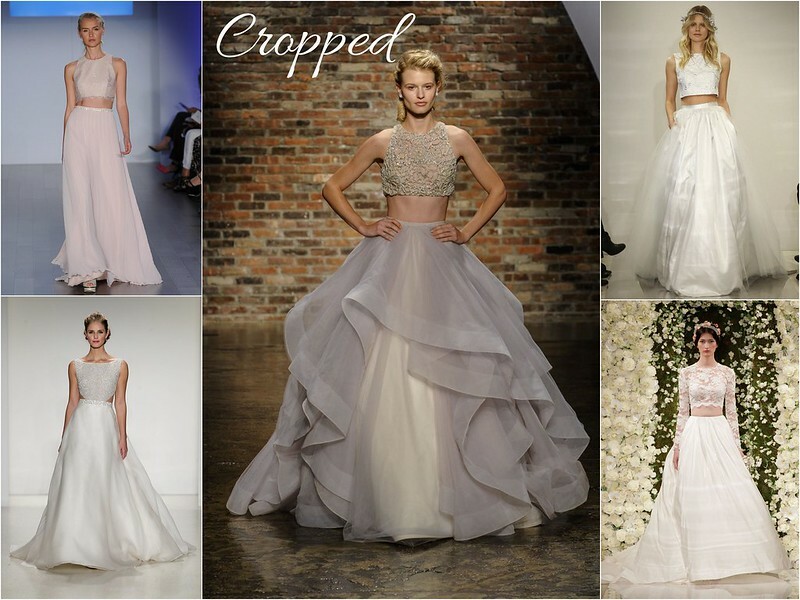 Modern, edgy and perfect for our fashionista brides, gowns that showed some skin were all over the runways. Don’t you just love the idea of transforming your look with a quick accessory switch? 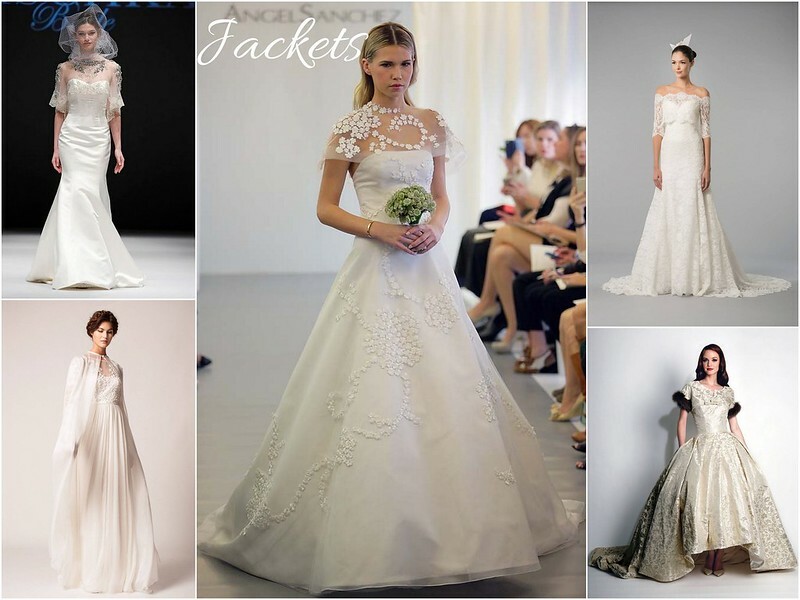 Other than jewelry and headpieces, jackets, capelets, boleros and wraps are excellent for changing things up from ceremony to reception, and lucky 2015 brides will have tons of options! Illusion tops were everywhere we looked, which is a wonderful thing! Not only is this detail heart-stoppingly romantic, it’s also very sophisticated…something Bridal Styles brides love. Made of ethereal, floating fabrics like organza and tulle, dramatic and swirly layered skirts were working almost every designer’s catwalk. The best thing is how they look when they move – breathtaking! 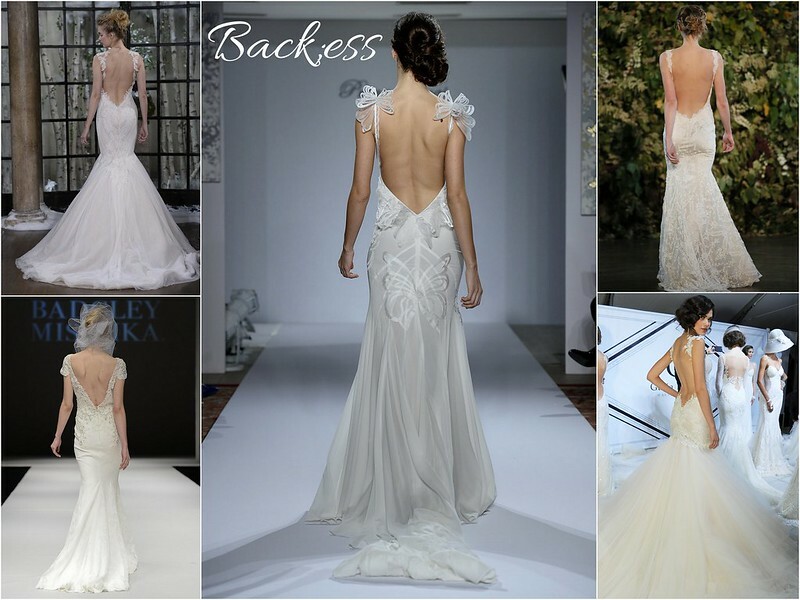 We know our brides like to make an entrance and an exit, and a backless gown is one way to do that. Some of the designs we saw were more revealing than others, but one thing is for sure, this style is a stunner. To find the perfect headpiece and jewelry for your on-trend wedding day look, visit us in Brooklyn at our bridal accessory boutique. 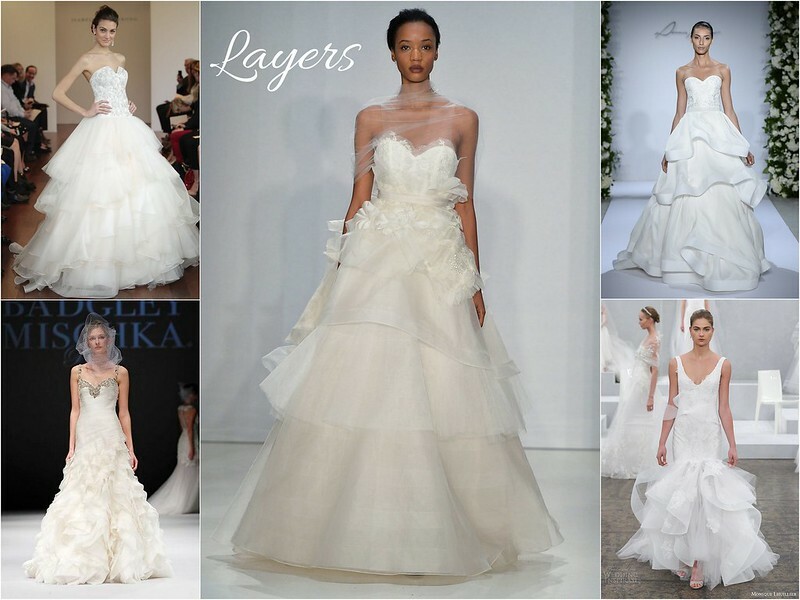 This entry was posted on Tuesday, October 21st, 2014 at 2:10 pm	and is filed under Blog, Bridal Trends. You can follow any responses to this entry through the RSS 2.0 feed. You can skip to the end and leave a response. Pinging is currently not allowed.